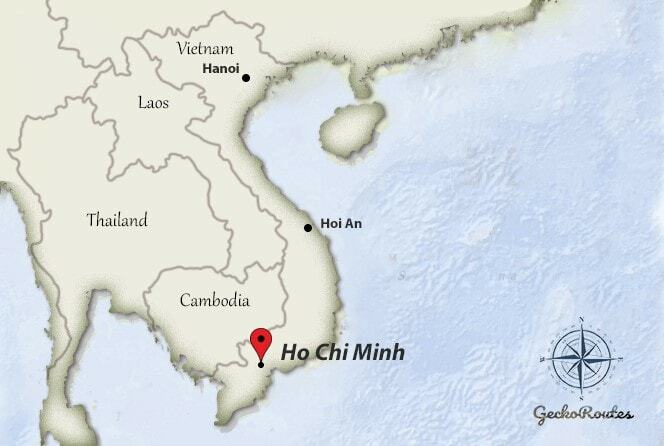 Ho Chi Minh, or also commonly called by its former name ‘Saigon’, is the largest city of Vietnam by population. This former capital of South Vietnam is often the first or last city that people visit during their trip in Vietnam and the busy traffic can be overwhelming for some. In Ho Chi Minh, can learn more about the Vietnam war by visiting the War Remnants Museum, the Cu Chi tunnels or dive into the Vietnamese culture by visiting the local ‘Benh Thanh market’. This market is located at the end of “Pham Ngu Lao Street”, or better known as “backpacker street”. Around this street, you will also find most accommodations. Hanoi or Ho Chi Minh? If you don’t have many days left to visit both, we advise to spend more time in Hanoi. We found Hanoi a more pleasant city thanks to its many attractions and vibe. Also does Hanoi give a better impression of the Vietnamese culture than the big city Ho Chi Minh. Tip: A great alternative to the Cu Chi tunnels in Ho Chi Minh are the Vinh Moc tunnels in central Vietnam. The Vinh Moc Tunnels are not as packed with tourists and the tunnels are still in their authentic state. Want to enjoy a great atmosphere with a bit more privacy than the typical backpack hostel? Boholand hostel offers lovely decorated private rooms. The super friendly host will give you the best recommendations of where to go. And best of all, she serves a delicious home-made breakfast for a perfect start of the day! This boutique hotel is located just oustide of the center, but everything is still in walking distance, or just $1 by taxi to the center. Enjoy a wonderful breakfast at the balcony after a great night of sleep in the comfy beds. The very helpful owners also provide airport shuttle service. This apartment is located a few minutes walk from the backpacker street and offers great value for money. Expect stylish modern rooms with lots of space and very comfy beds.